I read this article and found it very interesting, thought it might be something for you. The article is called Phonica: Speak, See, Remember – Christodoulos Makris and is located at https://www.totallydublin.ie/more/print/phonica-speak-see-remember-christodoulos-makris/. 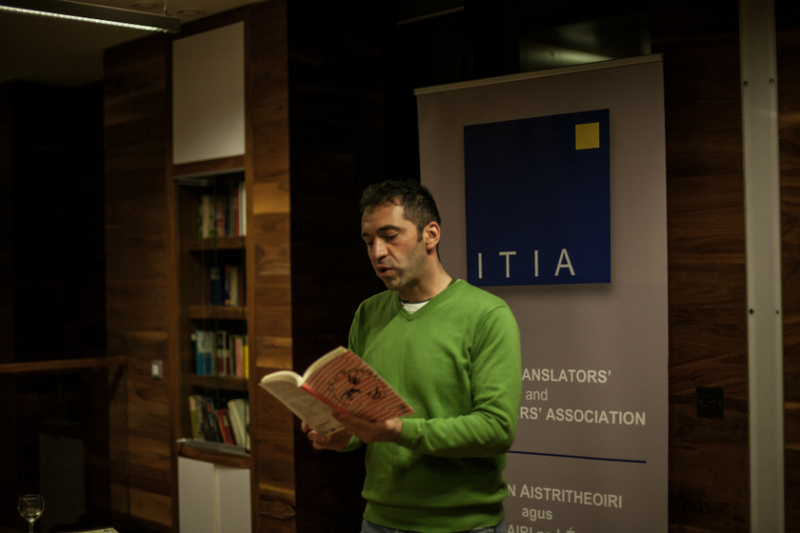 Christodoulos Makris’ most recent book The Architecture of Chance (Wurm Press, 2015) was chosen as a poetry book of the year by RTÉ’s Arena and 3:AM Magazine. He has curated numerous poetry project and events, and he is the poetry editor of gorse literary journal. Along with Olesya Zdorovetska, he has recently founded Phonica, a poetry and music venture in Dublin organised around principles of multiformity and experimental creation. How did the impetus to create the Phonica events come about? I first saw Olesya Zdorovetska perform a set of her proto-language material during an edition of the Tongue Box series at The Cobblestone in Smithfield in July 2012, but we only got a chance to meet and talk properly about a year ago. Our conversation towards possible ways of working together was immersive and exhilarating. We share an interest in innovative modes of composition, in collaboration, in showcasing the work of other artists and in creating connections, and among other things we discussed ways of encouraging conversations between practitioners in our respective disciplines. We got talking again last December and things moved pretty quickly towards the Phonica format. We’re interested in exploring the possibilities afforded by the intersection of words and sound in a performance setting, and we maintain an emphasis on openness and multiformity, on improvisation and experimentation. 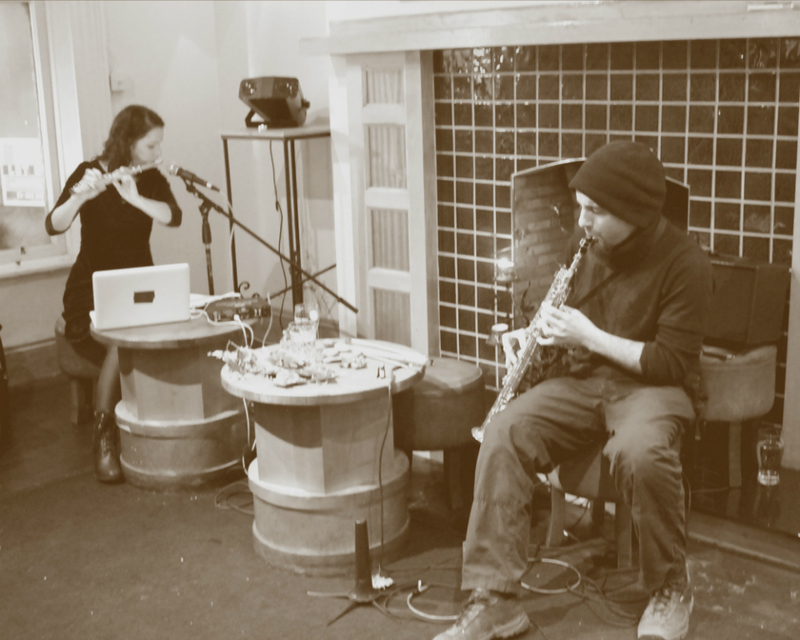 Phonica: One took place in January – how did the event go? What was the response? The announcement received plenty of attention, particularly on social media, and the upstairs space of Jack Nealon’s on Capel Street was full to the brim, a delight for us both. When an initiative like this begins, especially one that asks potential audiences to trust in a certain conceptual and curatorial judgment, there’s an element of doubt whether people will buy into it. The comments we got both on the night and on subsequent days gave us ample permission to start planning for Phonica: Two and beyond. Besides, through my exploration of ways of writing and the presentation of poetry I have come to recognise a thirst for new approaches that acknowledge current living and writing conditions. Audiences are getting tired of the worn type of poetry presentation – there was a remark on Twitter that Phonica represents a “change from normal ‘worried’ poetry readings” – and are increasingly looking for something more than the simply performative. We were lucky to have four amazing guests at Phonica: One – Linda Buckley, Nick Roth, Maurice Scully and Sue Rainsford – whose contributions also offered various suggestions towards what it is to compose and perform now. The participants work across different languages, and have influences as diverse as science, dance, and photography. Do you see this emphasis on interdisciplinarity as central to the Phonica initiative? Definitely. We want to offer the space and provide an opportunity for this to flourish, for musicians, poets and other artists to explore spaces between disciplines and for the interrogation and erasure of all sorts of borders. This can be a lot of fun, from both the artists’ and the audience’s point of view. But implicated in this is also a sense of interconnection that encourages mutual empathy and the forging of closer links with others. In our highly political times riddled with isolationist tendencies and divisive language, this represents a necessarily subversive way of thinking and operating. What should we expect from Phonica: Two? A lot of what happens on 13th April will be the result of compositional and curatorial activity over the couple of weeks leading to it. Provided that the artists concerned have years of thought and practice behind them, constraints – temporal as well as formal – tend to elicit immediacy and vitality. I’m particularly excited that Derry-based performance artist and sound poet James King has agreed to join us, and I look forward to his take on the intersection between the two; Olesya and I began working on a new collaboration which we intend to premiere on the night; and there will be plenty more, the specifics of which will likely remain unknown to me until the evening of the event.